A new study has suggested Britain has already approved more than enough renewable energy projects to hit targets imposed by the EU. The Renewable Energy Foundation report claims this means more than a 1,000 projects still in the pipeline are effectively surplus to requirements according to analysis. The UK has an EU target of 15% of its energy, including heating and fuels, to be provided by renewable sources by 2020. In the REF report, a strong critic of renewable energy costs in spite of its name, it suggests government figures show evidence of 35GW of renewable capacity in the form of wind, solar farms and wood-burning biomass plants, is either already built, under construction or has been approved planning permission. Projects such as Hinkley Point, the new nuclear plant set to be built in Somerset, as well as three biomass plants and five offshore wind farms would create 18GW the report claims. If all projects are completed, the report claims the UK would surpass its target by 50%. Dr John Constable, one of the authors of the REF study, said: "There is vastly more speculative activity in the planning system than is required by the targets or can be afforded by the consumer." The reports at a time when the Treasury has just released figures which suggest the government is preparing to sign off a number of deals which will lead to taxpayers having to fork out a staggering £28.8bn in subsidies for a series of projects over the coming decades. As a result of the new figures from the Treasury, energy select committee chairman, MP Tim Yeo, has suggested the government needs to be a lot more "hard-headed" when it comes to the cost effectiveness of various strategies. He said:"We may need to revise downwards how much offshore wind there will be. "A couple of years ago the government was suggesting offshore wind will have a really big part to play. I don't think we can afford that." Onshore wind farms and solar farms present greater value according to Mr Yeo, but he appreciates the concerns of such approaches. Mr Yeo added: "We do need to be aware that the cost of respecting people's concern about the environmental impact of onshore wind is to add greatly to the costs of producing low-carbon energy. 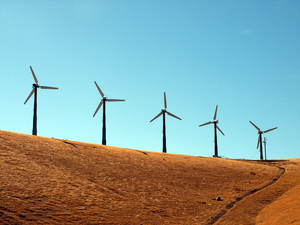 "The public need to understand that there is a cost to saying no to onshore wind."